OLD PARKED CARS. 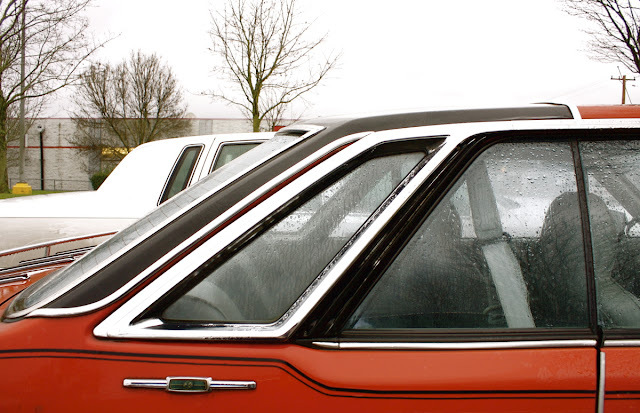 : Vinyl Half-Roofed 1980 Subaru 1600 DL-5. Can't recall seeing a coupe with this front end before. Of course these have long since disappeared around here. would love to see this thing after it had been detailed to a fair-thee-well. 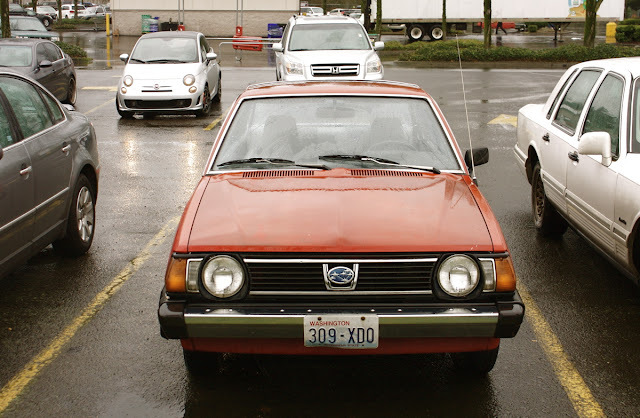 too bad the second gen brat's didn't have this front end as an option (they had the single square ones early on), it would have looked better. 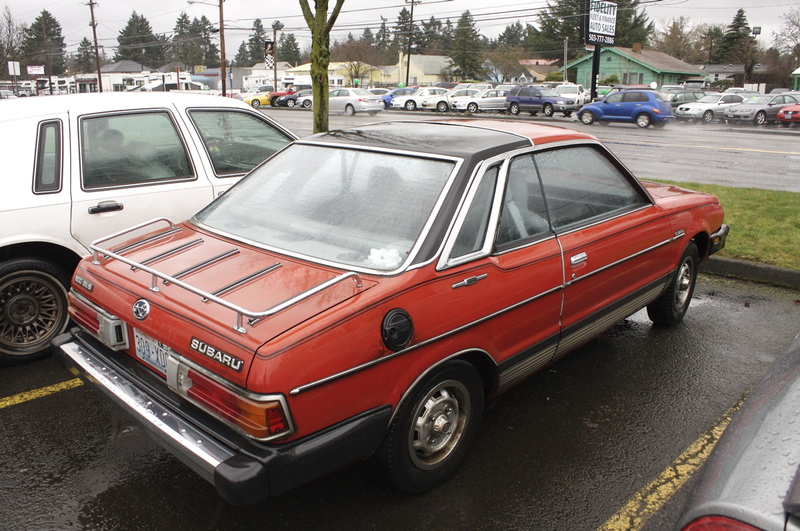 old subies are real fun to drive around, they feel so light. It's great to see so many still out and about. 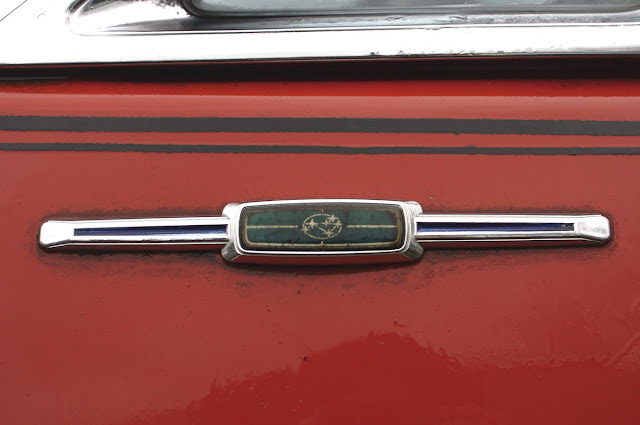 I really love all the trim and accessories on this model- truly a 'luxury' Soobee. These cars inspired generations of Subaru owners. Neat find, especially in the barely-above-bottom-line DL-5 trim. What a find....there's so much going on with this Subie. That reddish-orange, the pinstripes, the rack, those solo rounds, love it.
" los angeles body shop " is a spammer btw. 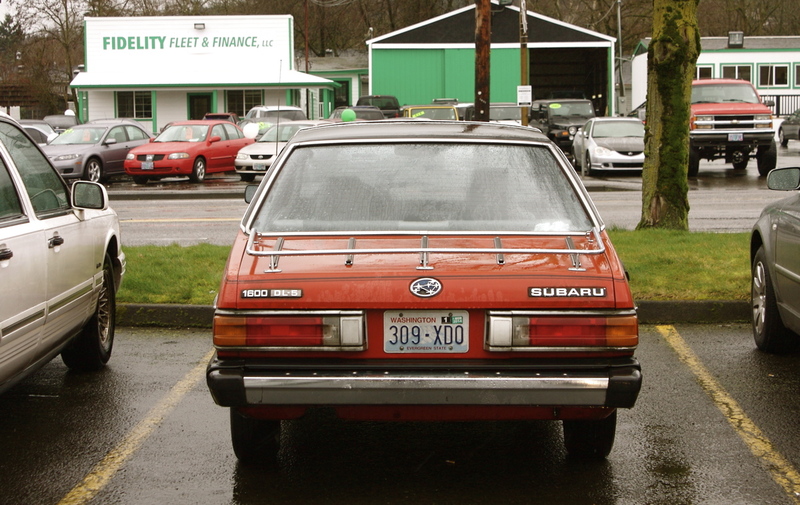 The DL has always been the base model for Subaru. The GL was the middle of the pack and the GL10 had all the bells and whistles. 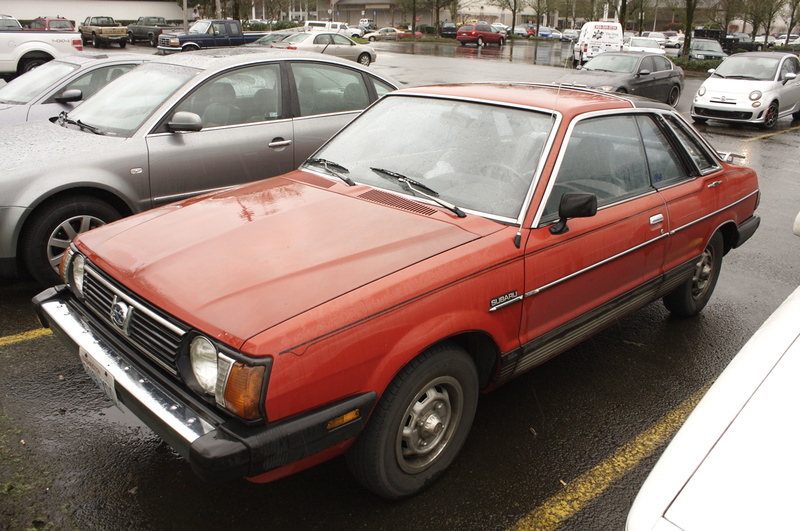 The Brat and Hatchback were made till 89 and were both pillarless(no frame) windows. I've owned a 82 GLF, 2 GL's and 4 84 Turbo Coupes. Good morning. Where you could get a model of those for sale and the same way the parts of the vehicle.